In Wisconsin, car inspections were never a thing. I think in Milwaukee they did some sort of emissions testing, but Milwaukee is a different world than the rest of Wisconsin. When I lived in either Marshfield or Madison, I never had to have my car inspected. One of my buddies, who is a mechanic, jokes that he wishes that there were car inspections in Wisconsin so he wouldn’t have to work on so much junk. In a lot of ways, I definitely see the need for them, especially in populated areas. Too many cars spewing out more emissions than they should adds up fast and means worse air quality. In addition, with the narrow and crappy roads in places, having cars that aren’t mechanically sound means more breakdowns, and ultimately, more traffic jams. Right now, I’m definitely happy that Wisconsin doesn’t have inspections, because it would make it more of a pain to own my Cougar. Instead, I can just send in the registration each year and get the renewed tags in the mail. This definitely makes my life easier. 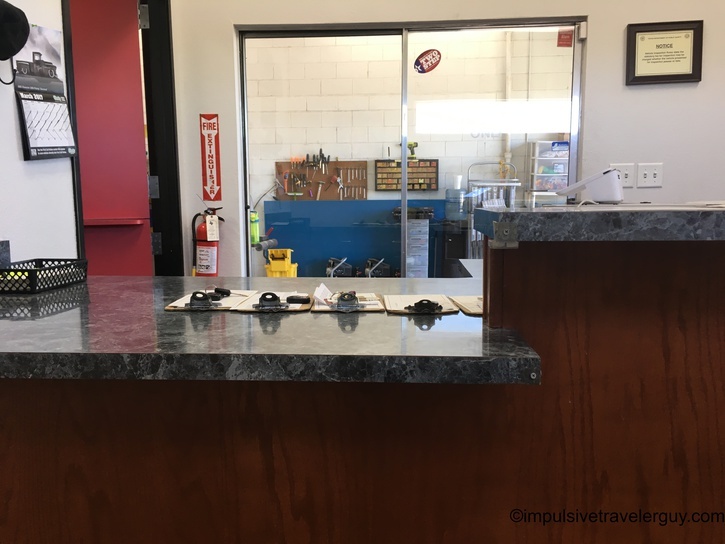 In Texas, I’ve grown accustomed to taking my car in once a year to be inspected. 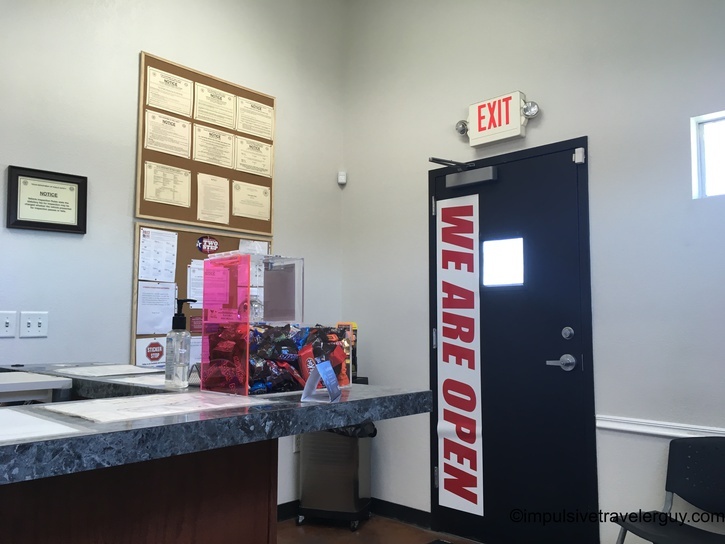 Because inspections are required on every vehicle, there has been a sort of express inspection industry that has popped up. 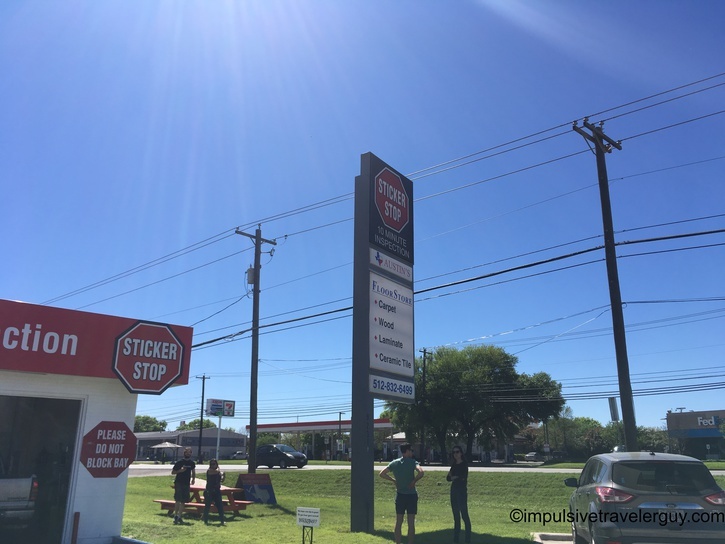 In this case, it’s 10 Minute Sticker Stop. Anytime I need a quick inspection so I can renew my registration, I go here. 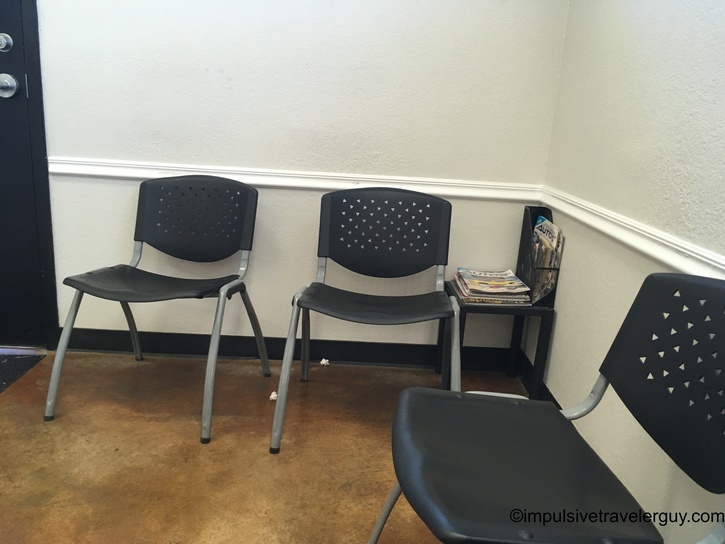 Due to its express nature, there’s a small waiting room that fits a couple people in it. You fill out the form at the desk and then take a seat and watch the cars go through fairly quickly. 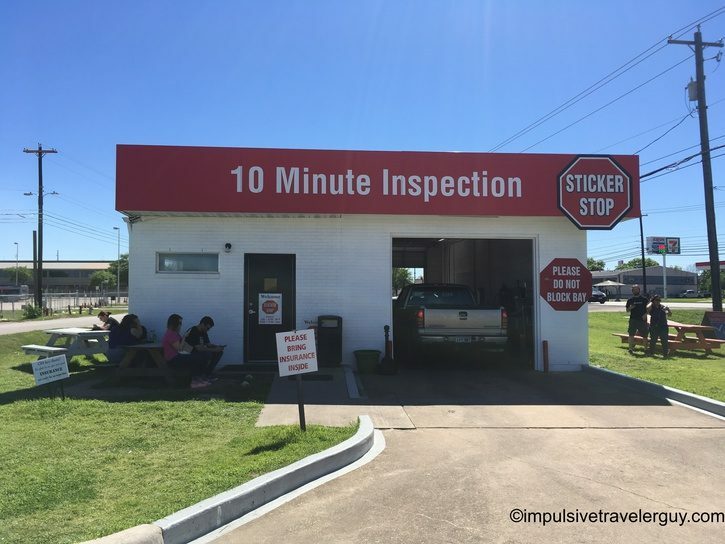 With a place like 10 Minute Sticker Stop, getting a car inspection is pretty fast an painless (I guess as long as your car passes inspection). It is nice to be able to get in and out and then get what is needed for another year of vehicle registration. 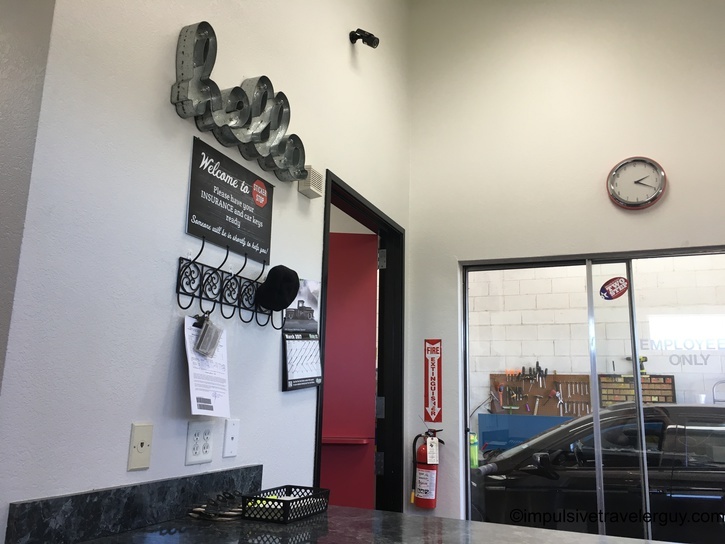 I know Wisconsin’s way is even easier, but there’s definitely a need for vehicle inspections and getting them done quickly makes it way less of a hassle.